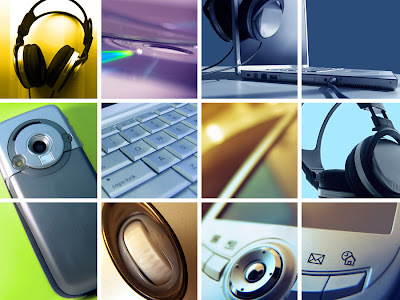 Techformation is a Technology Information blog, aimed at Inventions, Gadgets, Concepts and Designs. Techformation provides you design prototypes and many conceptual ideas from numerous renowned designers across the globe. If you are curious regarding knowing something new, or if you have the zeal to create something innovative, this place is yours. Sit back at your desks and stay updated to reverberate your thoughts. If you like this blog, follow us via..
A simple but excellent concept that can change the way of printing needs. 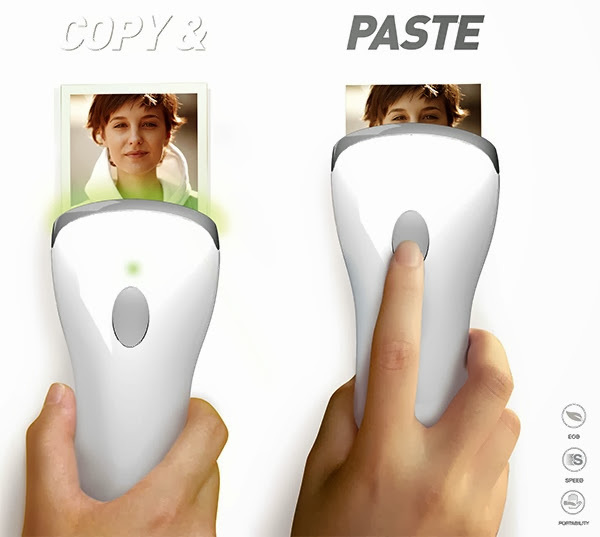 This simple scan-to-print concept uses a device to scan the material you desire to print. The scanned portion will be recorded and can be reproduced directly on another paper using the same device. Just a click away! Wearable gadgets are being scaled down extensively as the technology is leaping forward. And here is another example of a miniature 2 piece camera. I don't think we can call it an actual camera because you can't see anything related to the name and hence it is an invisible camera. This is Air Clicker. Exploring the possibility of including some smart features to a regular helmet is a stupendous act. Enhancing the safety factor which the helmet possess by default by equipping a rear view camera and a navigation system in front which guides us to our destination is truly remarkable. These two enhancements made the regular helmet not only techy but also improved the safety factor to considerable extent. Power backup to desktop computer is essential as sudden disruption to power may lose sensitive data in the computer and in worst case may damage components of PC. We opt for box sized UPS to serve this purpose and it can give a back up of 15-20 minutes depending on the battery. 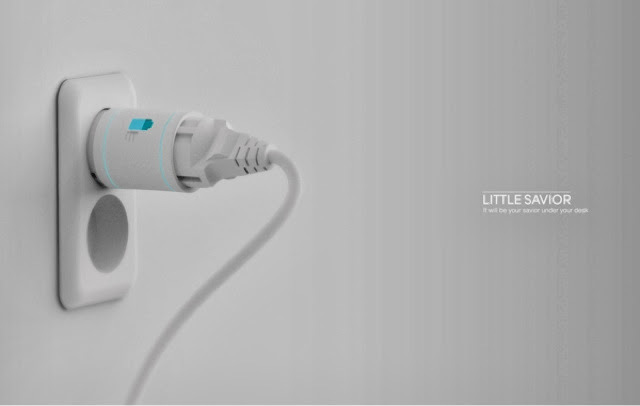 But this compact sized built in UPS plug is a tiny back up assistant that can replenish up to 10 minutes of power. Space journey is a fantasy and of course a distant dream to almost all as it demands not only lumps of money but also mental stability to survive in extreme conditions. Recently, many private organizations are taking initiatives to make this dream possible to us. 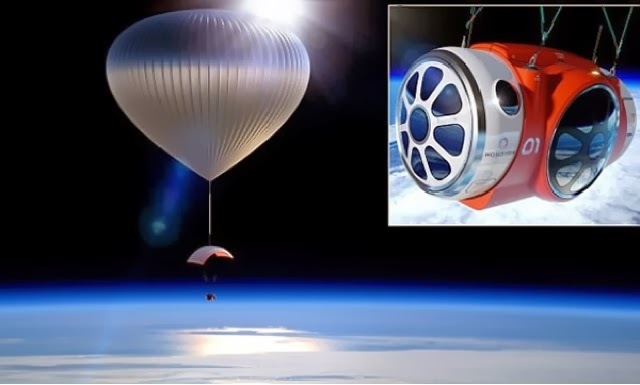 One such project is this Balloon space journey. 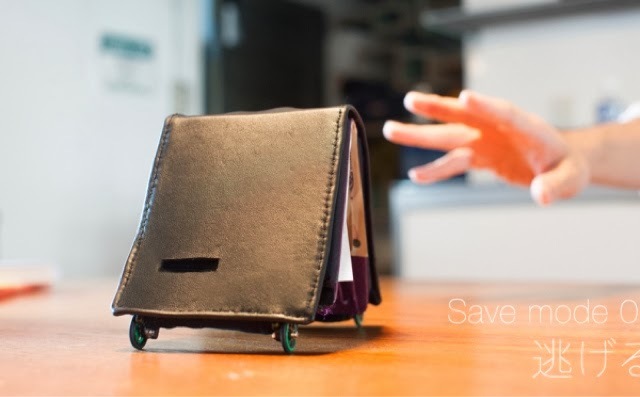 Extremely creative and funny, this wallet can move on its own. Paired with your smart phone app, this wallet behaves based on your bank balance. The Smart phone app has predefined modes for this wallet, and if 'Saving Mode' is on, this wallet escapes your touch and flee!! Even if you catch it by force, it will trigger the app to call any of emergency contacts in your phone for help.On the contrary, if you are having sufficient amount in your account, the wallet automatically searches your shopping lists and wish lists and runs towards you. Though it is simple, but some times zipping your jacket gets into the nerves. To make this more efficient, single handed magnetic zip is designed. 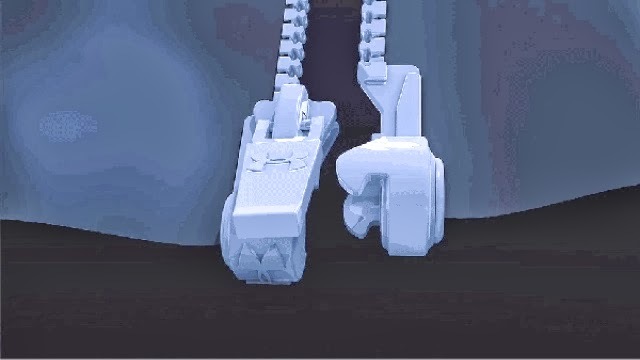 This design might get revolutionary as all it takes is a hand to zip your jacket or clothes. 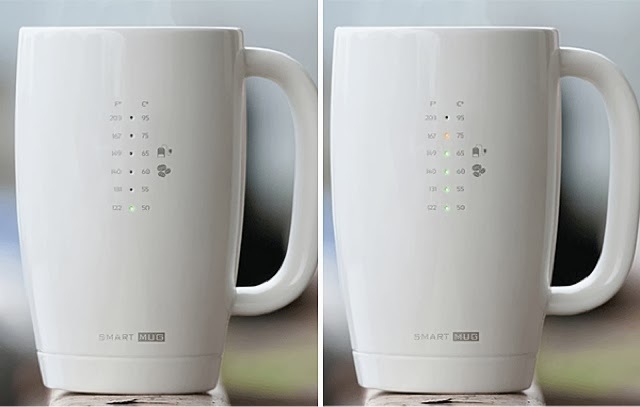 Smart Mug lets you drink at perfect time! Based on a simple thermoelectric principle, this Smart Mug lets you know the perfect time to consume your hot beverage. Every beverage has its unique temperature for tasting better and we manually may not find it right every time. But with this Smart Mug once can have their beverages in their best tastes all the time. This mug has 6 LED indicators which corresponds to different temperature levels, and the appropriate LED will trigger when it reaches ideal temperature to consume your drink.